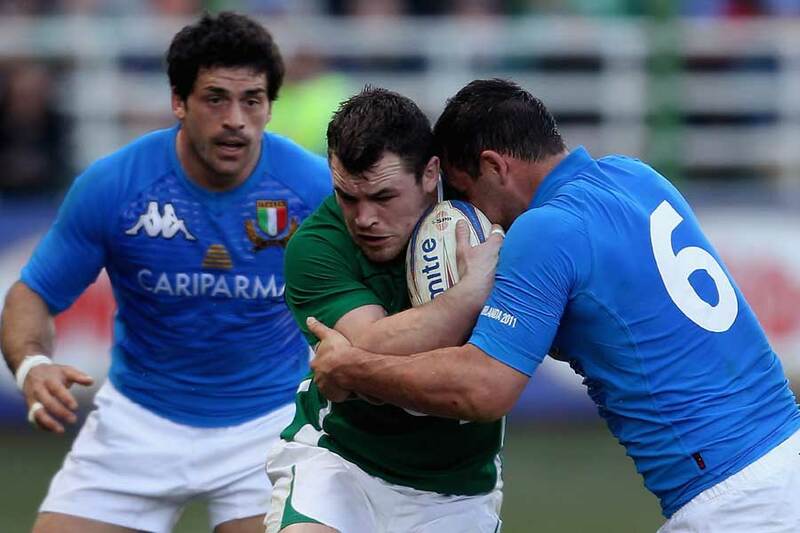 Italy coach Nick Mallett has named a provisional 43-man squad for the World Cup in New Zealand in September. Santiago Dellape, Josh Sole and Kaine Robertson are the most high profile players to be omitted from Mallett's World Cup plans. Both Dellape and Sole were involved in Italy's Six Nations campaign earlier this year but the 33-year-old Dellape announced his retirement from the international game earlier this month while Aironi flanker Sole, who has represented Italy 47 times, has struggled with injuries in the latter half of the season. Robertson, who won the last of his 47 caps for Italy against South Africa last summer, has also struggled with injuries for Aironi this season. However Stade Francais flanker Mauro Bergamsco is included in the squad despite missing the Six Nations and the latter stages of the French Top 14 season with a shoulder injury. He has also been included in the Italy A squad for the Churchill Cup, alongside Aironi lock Marco Bortolami, in order to gain match fitness ahead of Italy's World Cup preparation camp on July 3. Italy will play warm up matches against Japan and Scotland on August 13 and 20 before they take on Australia, Ireland, Russia and the USA in the World Cup which starts on September 9. "I am convinced that these players forty-three today represent the elite of the Italian rugby movement," said head coach Nick Mallett. "And I'm excited about with this group to prepare the World Cup, a goal of every athlete's career."